In its 250-year history, Rutgers has demonstrated repeatedly its ability to grow and evolve in order to meet the needs of its students and the state. From its origin in 1766 as Queen’s College to its current position as one of the top research universities in the world, Rutgers always has been at the forefront of higher education. 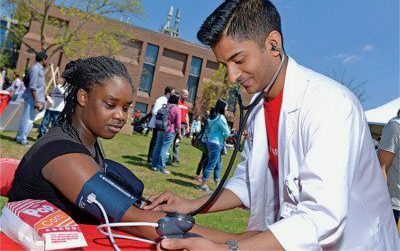 With the establishment of Rutgers Biomedical and Health Sciences, Rutgers — already a leading research university — now stands as one of America’s largest, most comprehensive university-based centers for studying and improving human health and health care. Aligned with Rutgers University—New Brunswick and collaborating universitywide, Rutgers Biomedical and Health Sciences is vital to strengthening biomedical education and research in the region and fostering new public-private partnerships with industries that are critical to the state’s economic prosperity. 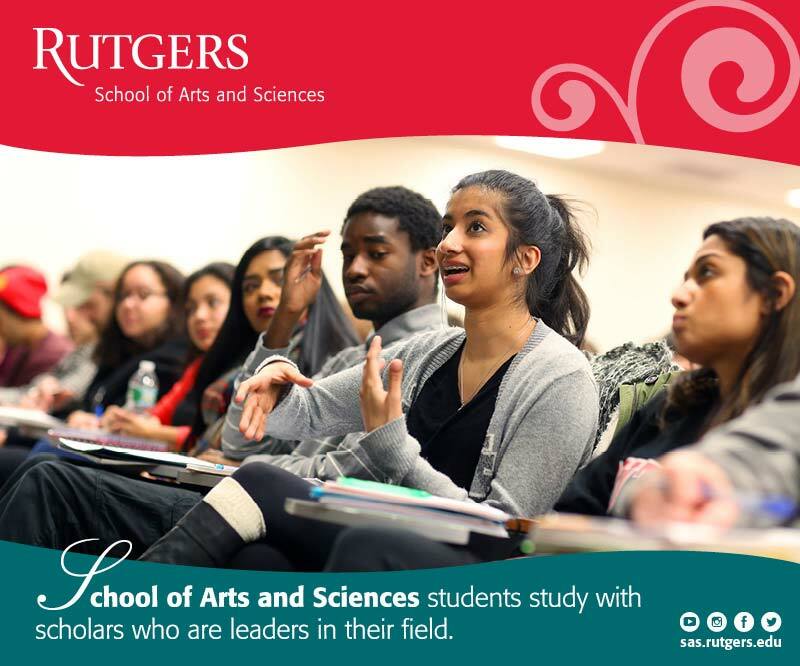 For unprecedented levels of excellence in education and community service, New Jersey looks to Rutgers, its premier state university. 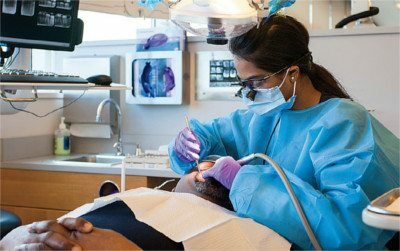 ■ Our schools, located at Rutgers University—Newark, Rutgers University—New Brunswick, and at additional sites, offer a wide range of degree and certificate programs as well as patient care through faculty practices and community health centers. A neurology and neurosciences professor works with a graduate student. ■ Our centers and institutes make breakthrough discoveries that inform health care. A sampling of major centers and institutes follows. As New Jersey’s only National Cancer Institute-designated Comprehensive Cancer Center, the Rutgers Cancer Institute of New Jersey is dedicated to improving the prevention, detection, treatment, and care of patients with cancer through the transformation of laboratory discoveries into clinical practice. The institute is based in New Brunswick but provides services and outreach throughout the state. It is one of only 41 centers in the nation to merit the National Cancer Institute designation, a mark of excellence in cancer care. University Behavioral Health Care (UBHC) is a statewide asset that offers a full continuum of behavioral health and addiction services for children, adolescents, adults, and seniors. UBHC’s behavioral professionals and support staff are dedicated to treatment, prevention, research, and education. UBHC is one of the largest providers of behavioral health care in the nation, with services offered in locations throughout New Jersey. ■ Rutgers Health will unify the existing specialties and clinical practices of Rutgers University through a multiyear process that will create an unmatched range of efficient, interdisciplinary, topflight services to address the needs of the whole person. In the nation’s rapidly changing, increasingly competitive health care landscape, Rutgers Health will combine patient care, research, and education to create the state’s leading academic health care provider organization. See rutgershealth.org for more information.